Bring the whole family to create a table-top puppet theater and a cast of puppet characters to act out your own play! Enjoy this fun workshop combining visual art, theater, and storytelling. This project is easy to take home for hours of fun. All materials provided. For all ages. Limited to 30 participants. Tickets will be given out starting at 2:15 pm. 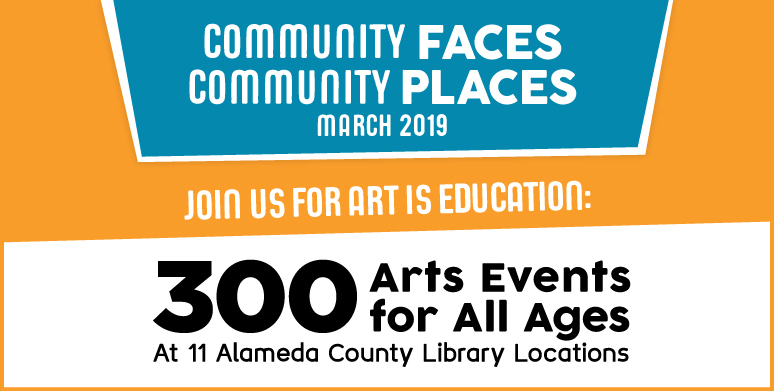 This program is part of the annual Art IS Education program, organized by the Alameda County Arts Comission.